brand eins: Professor Nadin, when you see all the people who seem to be conjoined to their smartphone, you seem to be confirmed in your prediction of the ubiquity of computers. 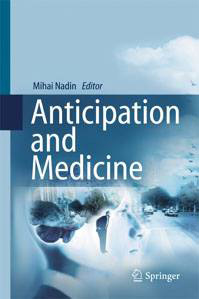 Mihai Nadin: Actually, the phenomenon cannot be overlooked. Most important is that in the meanwhile, nearly all professional activities are based on computers. And that the logic underlying their use has changed fundamentally since 2002. Thus, a commercially available smartphone today has 20 to 30 sensors that allow for interactive use (and higher computational performance than a supercomputer). This is a quantitative and qualitative leap in a very short time. We need less and less to adapt to the technology by learning specific commands. Instead, the technology adapts to us. This can be clearly seen in voice-driven systems like Siri. These are new interfaces, able to learn from us in real time. Underlying this process are so-called ontologies, a term that originates from ontology, i.e., the philosophy of existence. To put it simply, these digital ontologies allow interactions with machines according to human nature. Together with machine learning, it opens up unforeseeable possibilities. An era started in which we no longer serve the technology, rather the technology serves us. No one knows what concrete forms this will take in the future, but the new world of integrated and distributed computation will be very different from the previous. In the science fiction movie “Her,” the protagonist falls in love with an operating system named Samantha, which speaks to him in a gentle voice. Is this the future you are referring to? Rather not. But this Hollywood idea is interesting because it points to a remarkable development. Previously, it was assumed that machines replace certain human skills. But something else is going one today: machines are conceived to imitate human acting and thinking. Is the thought that machines will sooner or later be able to do this not scary? The fear is actually unfounded because machines do not dispose of the capability that defines us, that is, anticipation expressed in action. The still dominant algorithmic computer can answer questions, but cannot formulate any. It has no imagination. This is still our core competence and the premise for any and every creative activity. The devotees of Big Data would contradict this. They claim to be able to discover danger, for example, by analyzing large amounts of data at a very rapid rate. What do you make of this? Obsession with collecting data is stupid: Who measures much, measures garbage. The method may be suitable for marketing purposes, but for knowledge acquisition, rather not. Moreover, only by associating data with meaning do we acquire information. The rest is garbage. We cannot see the future by looking into the rear-view mirror. The disastrous record of data gathering practiced by the various intelligence agencies in the USA is only one proof. In recent time, they were proven wrong despite—or maybe exactly because of—Big Data. Of course, the perception is appealing that, as in the film “Minority Report,” one could, with the help of modern observation technology, identify a killer before a crime is committed. But this does not work in reality. Prevention has an anticipatory dimension. Human interaction remains key. People can only judge by who they meet and develop a feel for. Each person is unique. The Big Data modes fogs this perspective. Nevertheless, more data is collected than ever before. You seem to be quite alone with your position. So be it — and I like it that way. Only dead fish go with the flow. But I want to speak very seriously of a crucial difference between Big Data applications and human decision-making process. Big Data applications are based on the expectation of maximum computing performance. The human brain, to the contrary, tends towards minimizing energy consumption. In comparison to a computer, it operates extremely efficiently, with as little information as possible. Human beings do not seek data, they identify meanings. We interpret the world and are guided by an intuition of what could happen. Everyone does this in his/her own way. Of course. However, much less often than those who transformed the deterministic view of the world into dogma. The notion that future events are predefined only through previous and current conditions limits our understanding of change. And our ability to engage in meaningful change. This thinking is prevalent and comfortable because then you can feel safe, right? Probably. Personally, I like surprises. Therefore, I am grateful to the State of Nordrhein-Westfalen for not having made me into a civil servant [with all the benefits that this gives to Germans]. After state-mandated retirement as the head of Computational Design at the University of Wuppertal, I chose to continue my activity. This pursuit of my research and teaching afforded many stimulating experiences and still gives me great joy. A project that you pursued before the current assistants systems was the “aging car:” a vehicle that adapted to the driver’s habits and compensates for age-related deficits. What became of this? I introduced the concept 15 years ago to several automobile manufacturing companies (such as Mercedes, at their research institute in Palo Alto, California, and at Audi in Ingolstadt) — without success at the time. Then I published the idea in the hope that someone else would take it up. And that’s exactly what happened. Car manufacturers are claiming adaptive capabilities. Today the whole world is talking about Google’s self-driving car. The two founders of the company were, incidentally, students when I taught at Stanford University. I would never claim that they took my idea. But I am happy that this idea, one of many I shared with my students and with the scientific community becomes a reality. Self-driven cars can make millions of professional drivers superfluous. At our first conversation, you already presented the position that all routine tasks can be automated, so only creative activities remain for people. Will there be enough of such activities? I am convinced of that. And what is even more important: I have never met a person who was not creative. Each person is unique. The only problem is that many do not know what their talent is. To recognize it is thus the real challenge. For this we need an education system different from our current one, which measures results through the standardized PISA tests (inspired by the American education system). The industrial model of education is more resilient than I thought. We need anticipation driven education. Does creativity diminish with age? Yes, we lose our anticipatory capabilities. This also applies to societies, as well as to companies and institutions, which are also aging. Aging means that we react more and more; instead of being pro-active. We fall into routine. The ability to act in an anticipatory manner can be maintained through appropriate training. In our Institute, at the University of Texas at Dallas, we developed a computer game (“Amazing Grace”) based on a successful mobility maintenance routine practiced on the cultural model of the Senegalese choreographer (“the mother of African dance”) Germaine Acogny. Interestingly enough, as long as players were involved only with the computer, the outcome was rather limited. This changed when players interacted with each other. Interaction is decisive, because only through interaction is the need for anticipatory action triggered and further stimulated. Anticipation is your life subject. Do you see a domain in which your ideas could take hold? Design, computer technology (predictive and anticipatory computing), and architecture have already confirmed some. However, the most important test case is medicine. Because the industrial-model based medicine, equally applied to everyone, reached its limits. In the future there must be an individualized medicine to detect diseases even before they become symptomatic. Individualized medicine was proclaimed for years, but there seems to be no progress. Notwithstanding, everything speaks in favor of it. Let us consider the nature of living systems, in contrast to the world of physics. All electrons are the same. However, in this world there is not one cell that is the same as another. In addition, there is the experience of genetic research. The multibillion-dollar Human Genome Project promised the blueprint of the human being. But there is no such blueprint; each person has his/her own genetic endowment. Moreover, this changes constantly. If you can analyze your genome this year and next year again, you will find significant differences. Certain features emerge, quite obviously, not in reaction to environmental influences, but in advance. This is the connection to the anticipation. Let me name two projects. A researcher from France, present in my conference on anticipation and medicine, had hundreds of infants examined for clues that indicate autism: the way they moved, how they reacted to other people, and so on. As a result, highly accurate anticipatory profiles were created. I have a similar study with a colleague from the University of Texas-Southwestern Medical. We were able to see which people might get Parkinson’s—six years before the first symptoms appeared. Parkinson’s is not curable. Does this diagnosis benefit future patients at all? The earlier the disease is detected, the sooner can help be provided. In order to understand the processes, much research is still necessary. But we are on the right track. Born in Brasov, Romania, studied electrical engineering, computer science, and philosophy in Bucharest, where he received his doctorate. He received a post-doctoral degree (Logic, Philosophy, and the Theory of Science) at the Ludwig Maximilian University of Munich He taught and carried on research at various universities in Europe and the USA. In 1994 he was appointed to the University of Wuppertal, where he established the Program in Computational Design (the first in the world). After 2003, Nadin taught at Stanford University, the University of California-Berkeley, and the University of Bremen. Since 2004, he is Ashbel Smith Professor at the University of Texas at Dallas, where he established the Institute for Research in Anticipatory Systems.